At Max Beam, we know that for the underwater explorer, having a reliable, high-powered dive light is a necessity, not a luxury. That’s why we’re so excited to carry the Acebeam range of diving torches: These high-powered underwater dive flashlights boast the best LED dive light technology on the market today, according to numerous dive torch review experts. If you need a waterproof flashlight for diving, you’ve come to the right place. Our staff have carefully reviewed each underwater flashlight on the market today because we believe in bringing you the best dive light for the money. 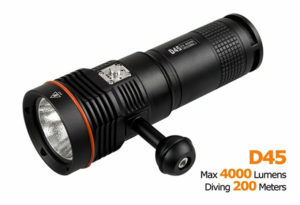 Every underwater torch that we stock will allow you to see for many metres while submerged (the Acebeam diving flashlight range typically has a 300+ metre beam distance), in addition to sporting essential scuba light safety features like magnetic levitation battery carriers that prevent the conduction of electricity to the user. When you buy an underwater flashlight from us, you’re not just buying an effective LED dive torch—you’re buying a diving torch light you can trust. Each underwater torch we provide is also highly durable, with many Acebeam models being usable at a depth of up to 200 metres. We also think that Acebeam makes the best diving flashlight in terms of longevity: Each Acebeam diving lamp comes with stainless steel switches that will not corrode even with extensive underwater use. Ease of use. Our diving torch light range comes with intuitive, simple controls that make each dive lamp easy to operate. You’ll never have to struggle to select the right setting again! Comfort. 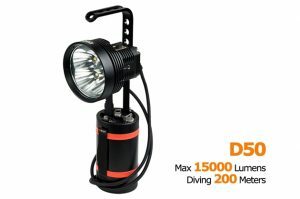 At Max Beam, we know that the best dive torch is the one you can handle securely—no diving LED flashlight is useful once it leaves your grasp. To that end, we ensure that our dive lights have rugged grips and excellent ergonomics for easy handling. Brightness. Our diving lights’ LED lights are powerfully bright and will penetrate even murky water at night. Each diving LED light is also adjustable to suit your needs in various different conditions. 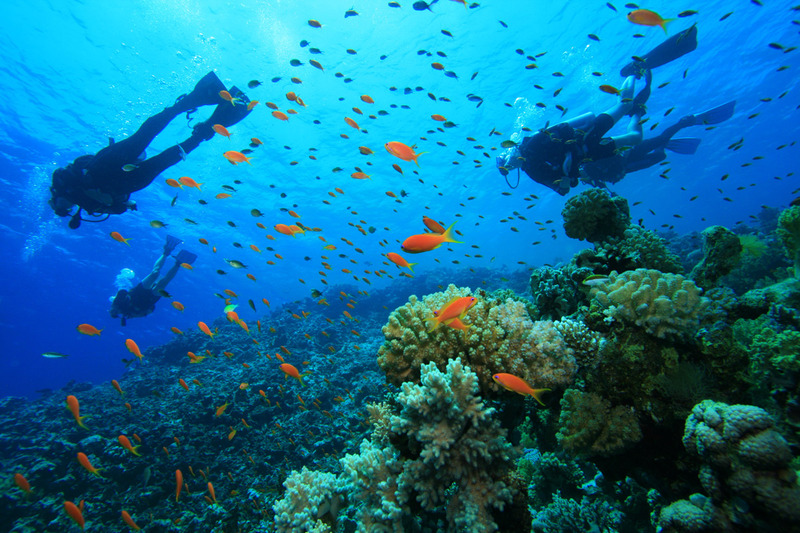 We know that when you dive LED lighting is the key to having a safe and enjoyable excursion. Without an effective diving head torch, it’s impossible to view rare marine life and navigate underwater landscapes. Do you have questions or concerns about choosing a diving LED light? Feel free to get in touch! Our experts can advise you on the best dive light to suit your needs.